Buying a hearing aid is about more than the product itself. It is also about the relationship you develop with your audiologist over the lifespan of your hearing aid. When an audiologist prescribes an appropriate hearing aid, there are a number of factors to consider, including: degree of hearing loss, lifestyle, cosmetic appeal, manual dexterity and budget. Advances in hearing aid technology allow us to improve an individuals hearing abilities more than we have ever been able to. Hearing aids are now wireless, and can be paired to smartphones via Bluetooth for direct audio streaming. Modern hearing aids allow for endless amounts of personalization or they can be completely automatic with today’s Smart Technology. Below is an introduction to the variety of different hearing aids and some of their benefits. 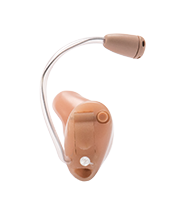 Behind-the-Ear hearing aids are available in a variety of colours, including those designed to match skin tone, hair colour, glasses or just personal preference. 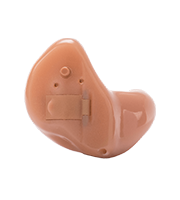 This is the most popular style of hearing aid as it offers the utmost in versatility, comfort and reliability. The receiver-in-ear can be adapted to your hearing loss, even if it changes, and allows detailed personalization with its Made for iPhone® capabilities. For those with more challenging losses, this style allows for the power and control needed for a successful fitting. 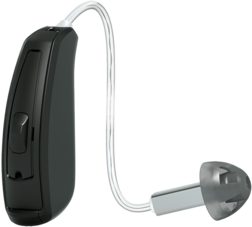 The behind-the-ear style also includes a number of customizable fit options and wireless connectivity. 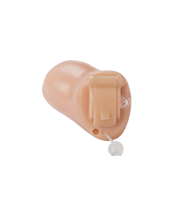 This style provides the most power of any hearing aid, and is efficiently designed to help those with the most severe hearing loss have improved speech clarity in all environments. All custom style hearing aids require an ear impression so that the hearing aid fits your ear perfectly. 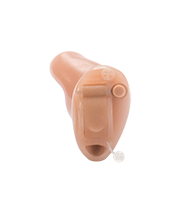 This style of hearing aid is also available in a variety of skin tone colours. 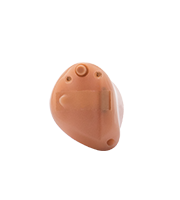 One of the smallest hearing aids available for the ultimate discretion. This hearing aid houses advanced technology for people with active lifestyles. This small and discrete product is customized to your ear for a perfect fit. This style affords more power and control for individuals with mild to moderate degrees of hearing loss. This technology is one of the most versatile in the custom product space. 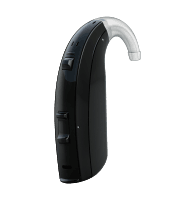 Our in-the-canal product features a higher fitting range for more challenging hearing losses, and wireless technology to connect to important devices, such as the television. This style is the most powerful of all custom products. 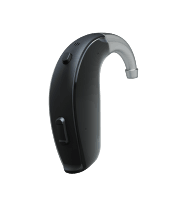 The in-the-ear style is perfectly adapted for individuals with limited dexterity as it is easier to put on and requires less battery changes due to a larger battery. This is our most popular custom product. The placement of the microphone results in superior speech clarity, localization and wind noise suppression. If any of your hobbies include outdoor activities, such as sailing, golfing or gardening, this style is for you.